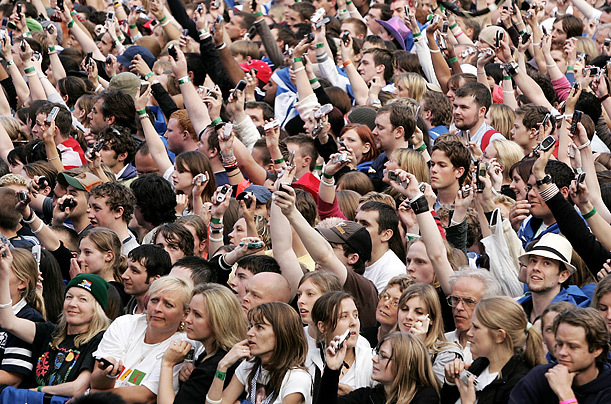 6 Billion Cell Phone Calls Per Day in the U.S. The average person makes or receives 8 mobile phone calls per day. That is roughly 2.4 billion phone calls across the 300 million cell phone user in the U.S. The average mobile phone user in the U.S makes 250 phone calls per month or 3,000 phone calls per year. There are 300 million cell phone users in the United States so if you do the math that is 900 billion cell phone calls made per year. Do you know what percent of calls are dropped? Our surveys say that the average cell phone customer drops 12 percent of their phone calls which is probably a conservative estimate. 100,000,000,000 billion phone calls are dropped each year and consumers have very few solutions accept cell phone boosters and femtocells which the FCC is trying to ban. These numbers are calculated by with a Verizon customers who claim to drop 5 percent of their calls and AT&T iPhone user who claim they drop 1 in 6 calls or between 15 to 20 percent. We have read the ChangeWave surveys and that claim AT&T and Verizon customers drop 4.5 to 1.5 percent of the calls and we all know these are not true. The average mobile phone user pays $59 per month for service and this factors out to approximately .24 cents per phone call for 250 minutes. So if the average person drops 12 percent of their calls per month you are paying $7.08 for calls that should be if your carrier refunded the dropped call. Carriers should be refunding $85 per year to customers on average if dropped calls were refunded as credits. Thats a total $25 billion dollars that carriers are stealing from their customers. How Many Text Messages Are Sent a Day? How Much Does AT&T Charge for Text Message Overage?